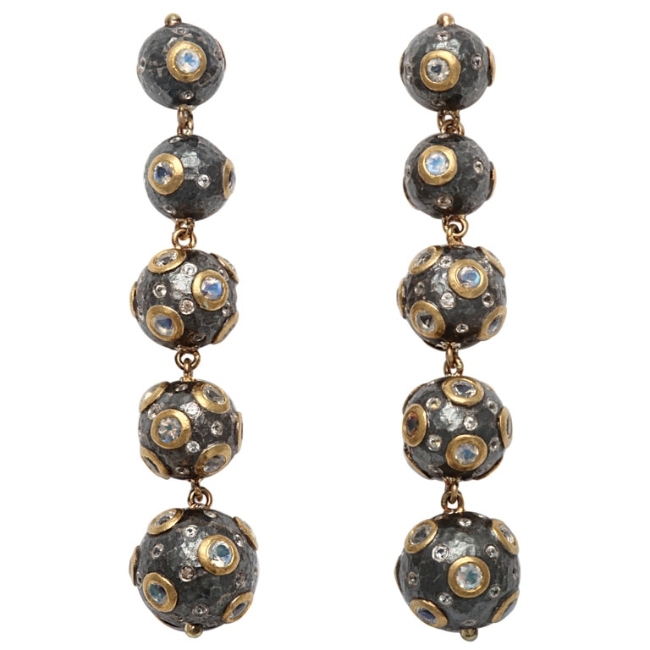 A pair of earrings composed of five graduated sterling silver beads. The beads are rhodium plated and have 18kt yellow gold bezel set moonstones and diamonds scattered randomly.The beads are linked together by handmade 18kt yellow gold rings. The rhodium beads are handmade in Turkey. 18kt yellow gold, sterling silver, moonstone and diamonds.